Captured! 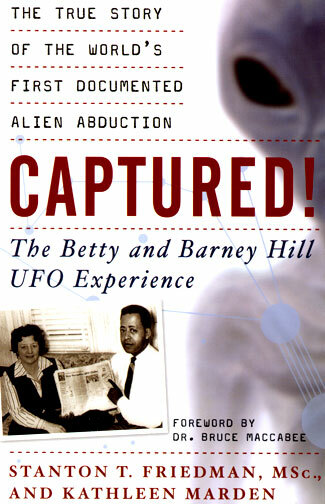 The Betty and Barney Hill UFO Experience © 2007 by Stanton T. Friedman, M.Sc., and Kathleen Marden. See below in More Information about ordering. August 31, 2007 Stratham, New Hampshire - Before I knew anything about the worldwide animal mutilation mystery linked to non-humans, I remember the first time I ever thought seriously about something from outer space coming to Earth and actually interacting with people. It was 1975, and I watched a TV program called “The UFO Incident.” It was a docudrama re-enactment of the alleged UFO and non-human encounter that Betty and Barney Hill described occurring in the White Mountains of New Hampshire on September 19th to 20th, 1961 – 46 years ago.